As you can see not much has changed in the last seven years when it comes to knowing how to measure ROI on social media marketing. 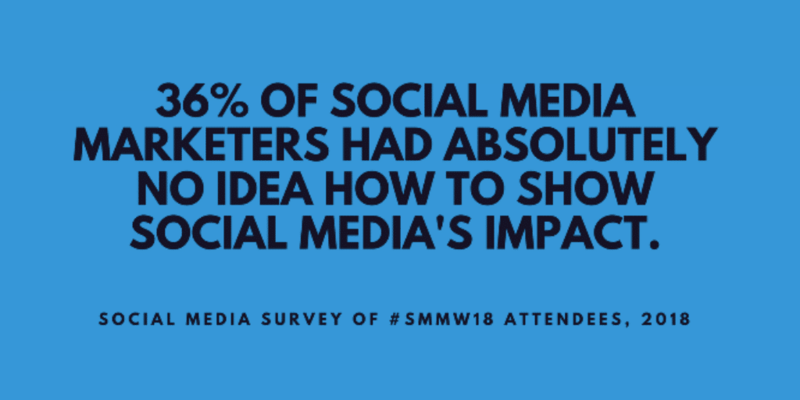 Digital marketers still are still unsure of how to measure the impact of social media. Let’s start by defining ROI: Ideally, ROI is money in vs. money out. What did you invest into it vs. what you get out of it? When I talk about ROI from social media, I am speaking to the financial impact of what you did. Not to discount any other returns; whether its awareness, community insights, search engine rankings, etc., they are all wonderful outputs of social media. However, these are all quite different things to track than ROI. ROI is the return on investment from a financial perspective. By tracking the prospects, leads. 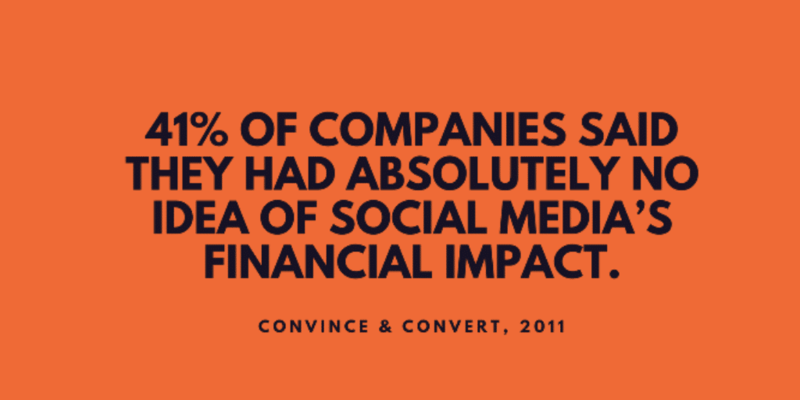 and conversions, you should be able to track the sales, and ultimately determine the financial impact of social media. This is scary to a lot of marketers because we do not want to be held responsible for the outcome once it leaves marketing and gets handed to the sales team to continue through the cycle. Too often we work in our own little marketing silo and we don’t know what happens after we send leads to the sales team. This is where it’s so important to communicate with one another and have transparency between departments. If I’m sending leads to the sales team I need to know if those leads converted and how much it cost to convert them. This is what will help you become a better social media marketer! 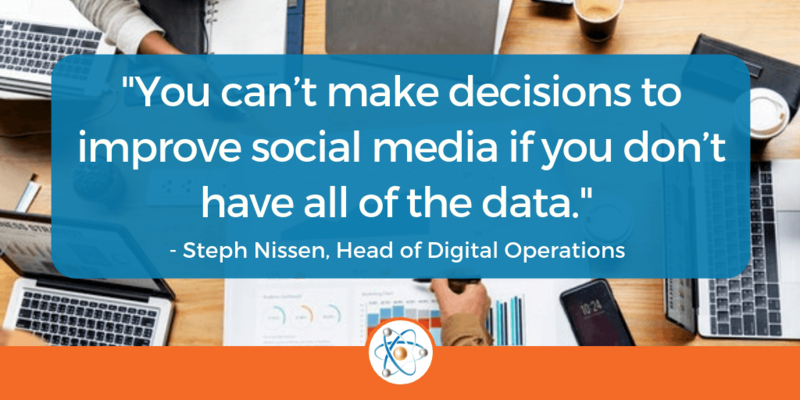 You can’t make decisions to improve social media if you don’t have all of the data. 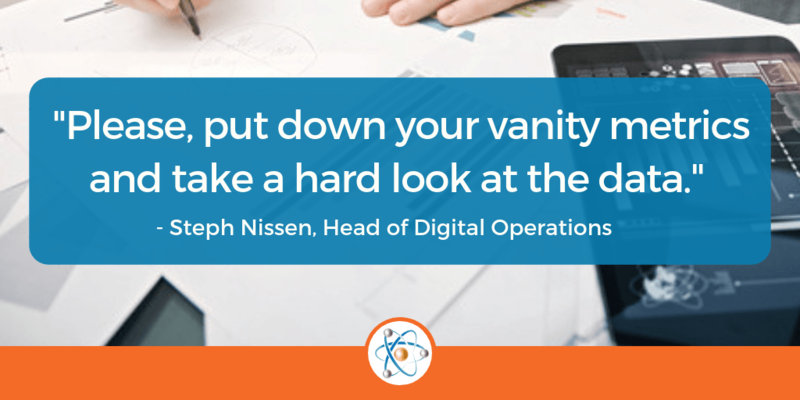 Metrics that Matter: What Are You Tracking? This leads us to what metrics we need to be tracking. What are the metrics you are going to track so your boss and your clients will allocate more budget, more team members, and more tools for your efforts? What is going to help you prove that your efforts are working? Awareness: Is the message reaching your audience? Inquiry: How many leads are being generated by your social media efforts? Conversion: How many of these leads were converted? Satisfaction: Are customers satisfied with your product/service and your company as a whole? Retention: How long do customers stay your customer? Expansion: How many customers come back to you? Advocacy: Are your customers turning into advocates for your brand? CRM/Pipeline Deal- to track what happens after you hand off the lead. There are a number of free CRMs! At Atomic Revenue, we use Hatchbuck. Google Analytics – You will need this 100% of the time to know the behavior of your prospects and customers. Scheduling Platform – There are a number of scheduling platforms to use, we especially love AgoraPulse and Sprout Social! Listening Tool: This is especially needed for enterprises and larger companies; listening tools read the data for you instead of having to pay someone to sift through all of it. Reporting Dashboard: We now live in a data-driven world, but those we are presenting to don’t know what all of these metrics mean. Give them something they can read! Don’t be super creative here, make it very simple and clear to understand. We use Klipfolio here at Atomic Revenue. What Results Should You Show Your Boss and Clients? If you only show them what they want to see nothing will change. Social media is a marathon, not the instant gratification of a sprint. Sales come over time as your build brand loyalty and awareness. 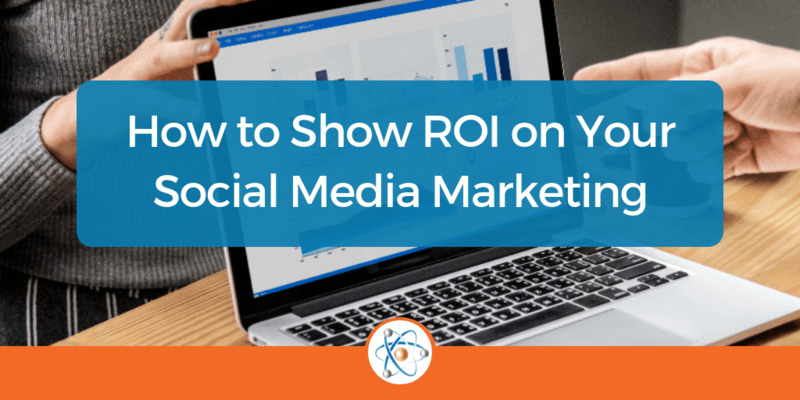 Because you can instantly post to social media everyone now has the mentality that businesses will see immediate ROI on their social media; which we all know isn’t the case. You have to be the one to educate them on how it works! A lot of us are in the habit of showing only the good numbers, and while those feel-good metrics feel good, if you are not tracking all the way to the end you are doing your business a disservice. We are in the business to serve. They need to know where to put their money that will help them grow. It’s a problem when you are scared to sit down and look at the metrics. So please, put down your vanity metrics and take a hard look at the data, honestly and objectively. Here are the slides from my most recent presentation on showing social media ROI for Dreambank Madison.